Training with the Eyelash Design Company in 2015, I gained my qualification in Semi Permanent Lash Extensions. This is a process that involves me using two sets of tweezers to gently isolate a natural lash and the glue a false synthetic lash using premium quality glue. This is a painless process which, if looked after properly, does not damage your natural lashes. During your treatment you will be given aftercare advice to follow so you can care for your new lashes properly. 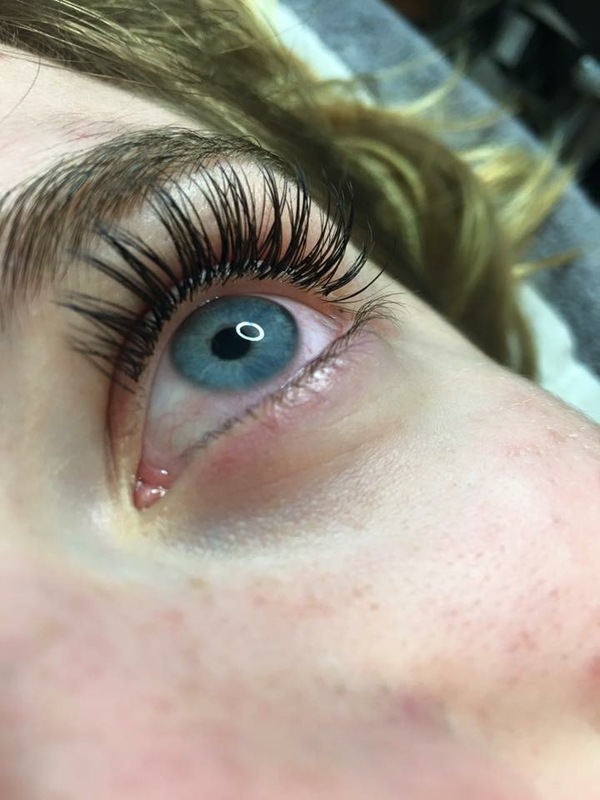 Your lash extensions last for anywhere between 4-6 weeks however it is recommended you come back every 2-3 weeks to have them infilled to keep them looking full and amazing. I offer half sets which is the attachment of one false lash to every other natural lash giving a finer more natural look. I also offer full sets which is the attachment of one false lash to as close to every natural lash as possible giving a fuller look. Gift vouchers are also available. Get in touch for more information. Below you will find some selected images of sets of lashes I have done.